When you’re on Medicare there are a lot of rules and procedures that you must follow and be aware of. Knowing when to submit your application for a Medicare supplement is important to understand if you are going to maximize your opportunity to get coverage. The fact that most people are aware of the Annual Enrollment Period for Medicare Advantage and Part D sometimes lends a little confusion to when you should apply for a Medicare supplement policy. The rules that govern Medicare Advantage and Part D are different than the rules that govern Medicare supplemental coverage. What follows is a discussion of when you should apply and why one time in particular is the best time to buy a Medicare supplement. Before jumping into when you should apply for a Medicare supplement, let’s clear up any possible confusion. 1. Medigap is the official term for a Medicare supplement policy and you will often hear the terms referred to interchangeably. 2. A Medicare supplement and a Medicare Advantage plan are two different types of plans and are governed by separate guidelines. 3. Even if you have a Medicare supplement, you will still need to follow guidelines for the annual enrollment in a Part D plan. 4. You cannot be enrolled in both a Medicare supplement and an Advantage plan at the same time. It’s important to understand the terminology and know that supplements and Advantage plans are two different types of plans so the confusion doesn’t contribute to you missing the opportunity to buy a supplement at the right time. Your decision to apply for a Medicare supplement is normally governed by a few different factors. Everyone has a unique set of circumstances and belief as to what is best. What other options do you have ? Do you have retiree benefits or a large selection of Advantage plans? How does your current health factor into your decision? Can you afford the premiums for a supplement? If you initially choose an Advantage plan can you live with the annual enrollment process? Once you have reviewed your options and decided that a supplement is your best choice, you should apply at the right time. Your open enrollment period begins on the first day of the month that you are both 65 and are enrolled in Medicare Part B. Some States allow open enrollment for people on Medicare under 65. 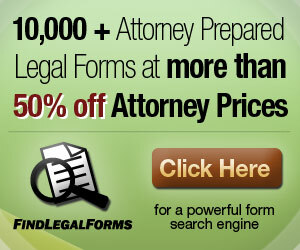 Consult an agent about your State’s laws. The reason that open enrollment is the best time to submit an application is because the insurance company cannot use medical underwriting to determine whether or not you qualify for a policy. They can exclude coverage for certain preexisting conditions for 6 months if you had not had creditable coverage with in the previous 63 days, but you will be covered by Medicare during this period. Insurance companies will begin marketing their plans to you well before your 65th birthday. They will also allow you to submit an application prior to the day your open enrollment begins. There are certain times when you are able to buy a Medicare supplement without regard to any preexisting conditions. These Guaranteed Issue Rights are generally the result in some change to your existing medical coverage. These are some of the times you have these rights. There are other sources where you can get more complete information regarding all circumstances related to Guaranteed Issue Rights. The above two scenarios are the ideal times to apply for a Medicare supplement but don’t throw in the towel if these enrollment periods don’t apply to you. It’s true that you will generally be subject to medical underwriting when you are not in open enrollment or are not entitled to a guaranteed issue period, but underwriting to obtain a supplement is not that strict. The main caveat to switching is to make sure you are not locked into a plan. This is often the case with Medicare Advantage, where you must stay in the plan for a calendar year. If you are enrolled in an Advantage plan the Medicare Annual Enrollment Period is the time to apply for a Medicare supplement. You should request an effective date of January 1st. It would be wise to apply near the beginning of the enrollment period so there is ample time for underwriting. If you are denied coverage and your current Advantage plan is renewing for the following year, you will automatically be re-enrolled. If your plan is not renewing you will have a Special Enrollment Period available to enroll in another Advantage plan up to January 31st. This should give plenty of time for a decision from underwriting.